They say that 40 is the new 30. But what if it’s really the other way around? Below are 12 luxury SUVs starting in the mid-30s, all fiercely competing in one of the hottest segments today. While they can all be optioned far into the stratosphere, we wanted to see just how much luxury SUV you could get without crossing the $40,000 barrier. But as you inch ever closer to that price ceiling, either-or decisions abound: Should you spring for the all-wheel drive or the upgraded sound system? Navigation or leather seats? What do you mean Apple CarPlay costs extra? It’s these compromises that keep the field competitive and interesting. It all comes down to space, features, and, of course, what matters most to you. We’ve listed some of the most popular options (and packages) below for easy comparison. How will you configure your SUV to reach that magic number—without going over? 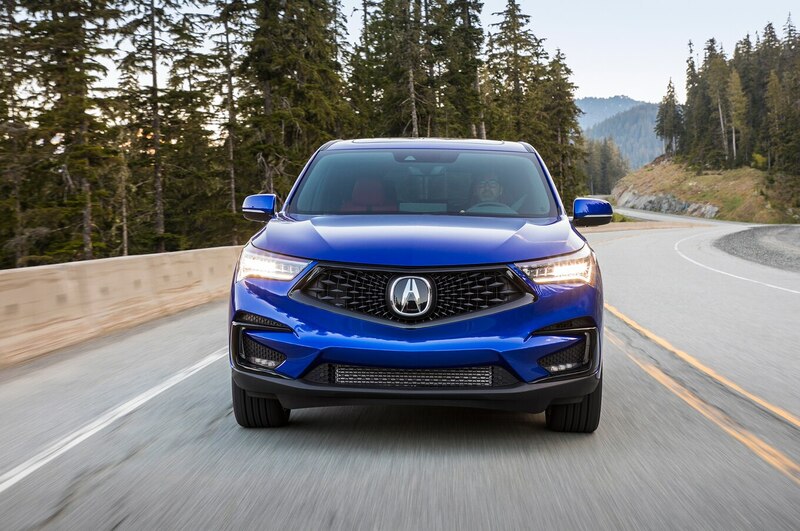 Ringing in at $38,295, Acura’s RDX is all-new for 2019. A full safety suite is standard, as are heated seats, a panoramic moonroof, and Apple CarPlay integration. A new 2.0-liter turbocharged four-cylinder with 272 horsepower drives the front wheels. 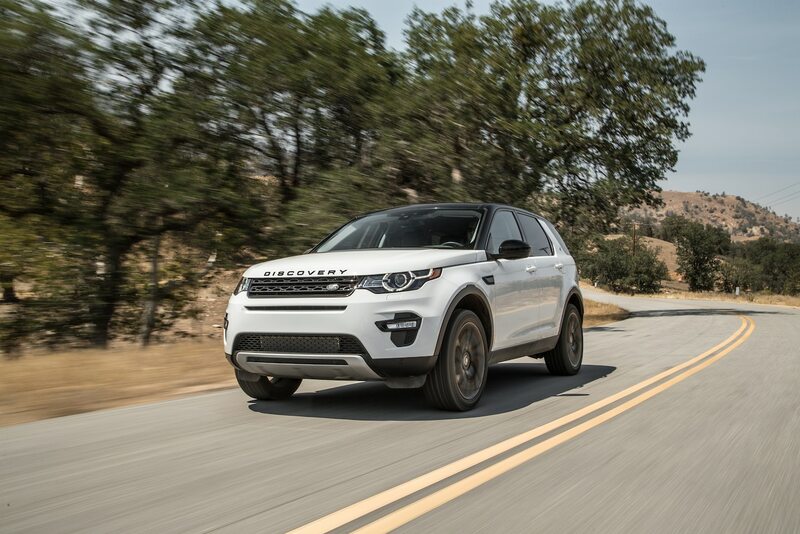 Want all-wheel drive or navigation? Both options will take you over the threshold of $40,000. 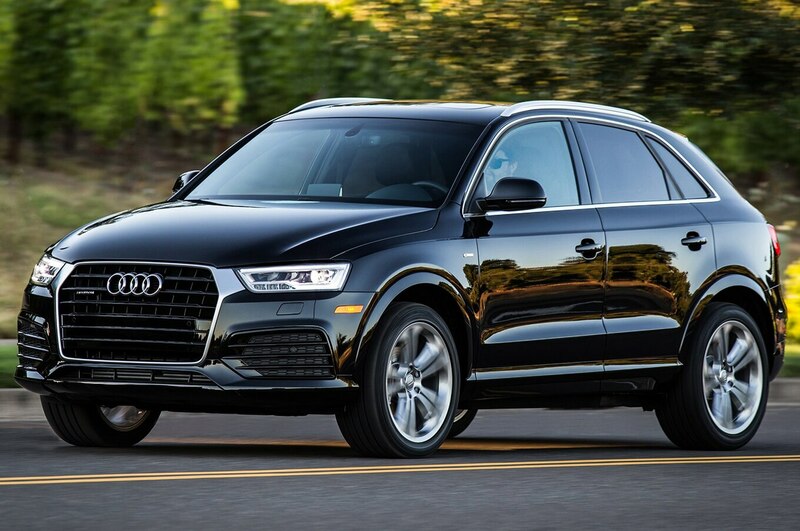 With the lowest base price here at $33,875, there’s plenty of room to add features and still keep the Audi Q3 under $40,000. Satellite navigation will run you $2,100, and a Bose system is $850, but Apple CarPlay and Android Auto are not available at any price. Quattro all-wheel drive can be had for $2,100. Motor Trend’s Take: The Q3 was introduced in 2015 and hasn’t changed a whole lot since then. Our First Drive noted that while the “instruments and ergonomics are as near faultlessly clear as you can find, underneath it’s a little old hat.” The Audi Q3 is really showing its age when it comes to power, efficiency, and driving dynamics. 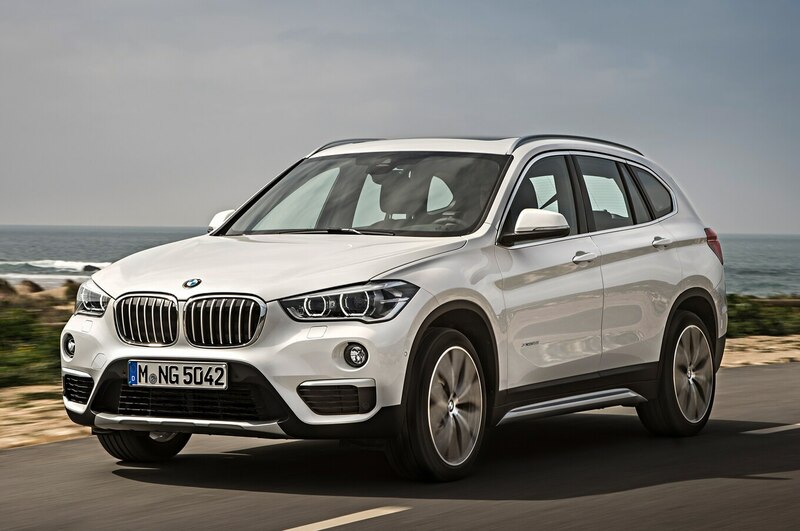 If it’s bare-bones luxury you’re after, the BMW X1 at $34,895 fits the bill with eight-way power leatherette seats, seven-speaker audio system, 18-inch wheels, and automatic climate control. Class up the cabin with the Luxury Package ($1,550), which adds leather and uplevel trim accents. Notable standalone options include a Harmon Kardon 12-speaker sound system ($875), Apple CarPlay compatibility ($300), and satellite navigation ($950). All-wheel drive is available for $2,000. 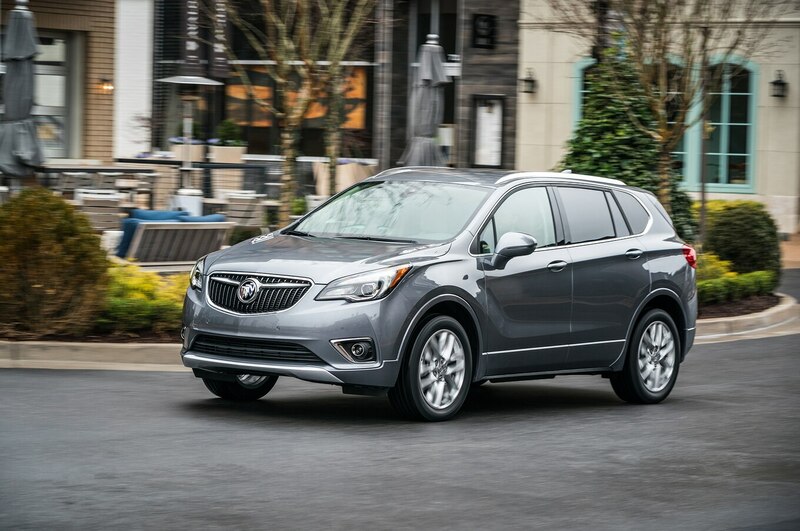 While the Buick Envision may have the lowest base price here at $32,990, it still comes standard with heated power front seats and mirrors, Apple CarPlay and Android Auto compatibility, remote start, and a hands-free power liftgate. You can spec an Essence model with all-wheel drive and leather seats for $38,940 and still add satellite navigation for $495. Motor Trend’s Take: Buick reaches for the stars but settles for atmosphere, scoring on value while stumbling on driving dynamics. Driven aggressively in our latest First Drive, we observed, “The Envision mostly indulged us competently but without evidencing any joy in the process.” And in an earlier First Drive, we noted that Buick’s “Quiet Tuning” was anything but, as “noise, vibration, and harshness (NVH) control is severely lacking.” And while the 2.5-liter four-cylinder engine provided decent power, it was “coarse and loud on throttle and unrefined off throttle, vibrating the driver’s seat.” What price value? 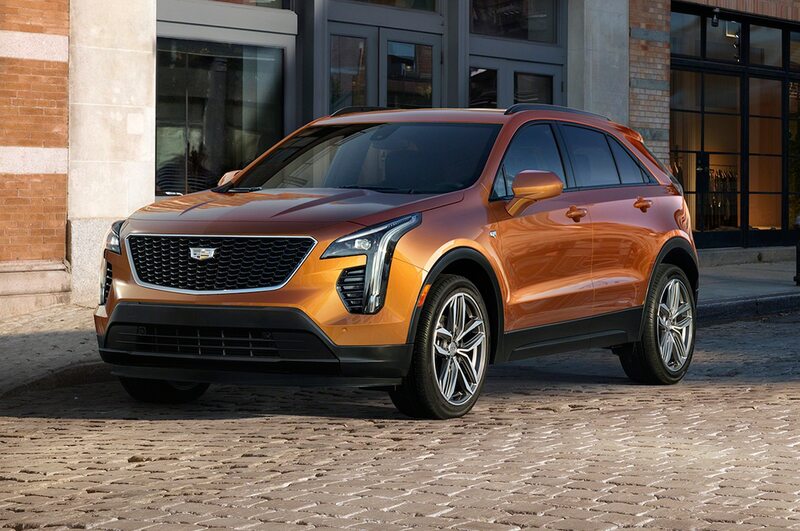 New for 2019, the Cadillac XT4 slots in below the XT5 on both size and price, starting at $35,790. That’s a decent starting price, but options can add up fast: All-wheel drive is a cool $2,500, and satellite navigation with Bose audio will cost you $1,500. A cold weather package with heated seats and steering wheel is $850, and a power sunroof will set you back $1,500. Thankfully, Apple CarPlay and Android Auto are standard. Motor Trend’s Take: We haven’t yet driven the XT4 but look forward to seeing how Cadillac’s CUV competes against fellow luxury bite-sized rivals. 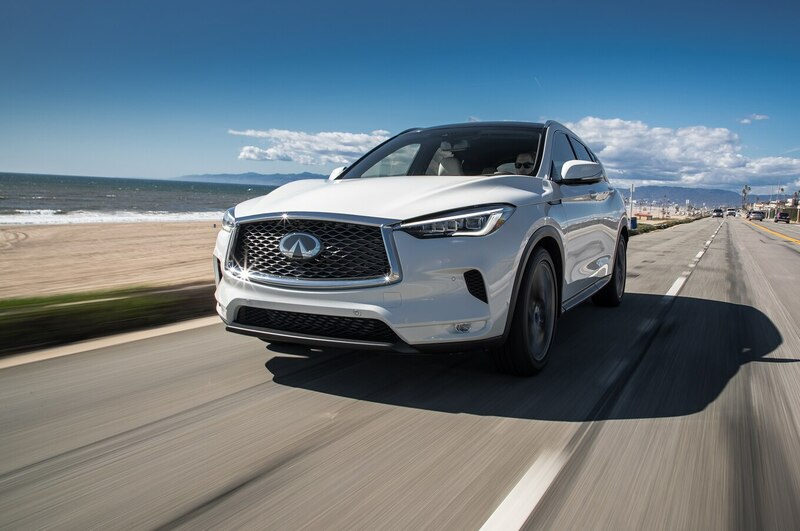 If bigger means better, choose the $37,545 Infiniti QX50 over its smaller sibling, the QX30. But what you gain in size you’ll sacrifice in features: The Pure trim level lives up to its name as no additional options are available beyond all-wheel drive for $1,800. Notable standard features include power liftgate, eight-way power seats, and automatic emergency braking. With a base price of $39,595, the Jaguar E-Pace limbos its way onto this list with mere dollars to spare. Skimming the bar results in 17-inch wheels, manually adjustable seats covered in cloth, and no navigation; but advanced safety features like emergency braking and lane keep assist make the cut, and all-wheel drive, automatic climate control, and heated mirrors make it capable in all climates. 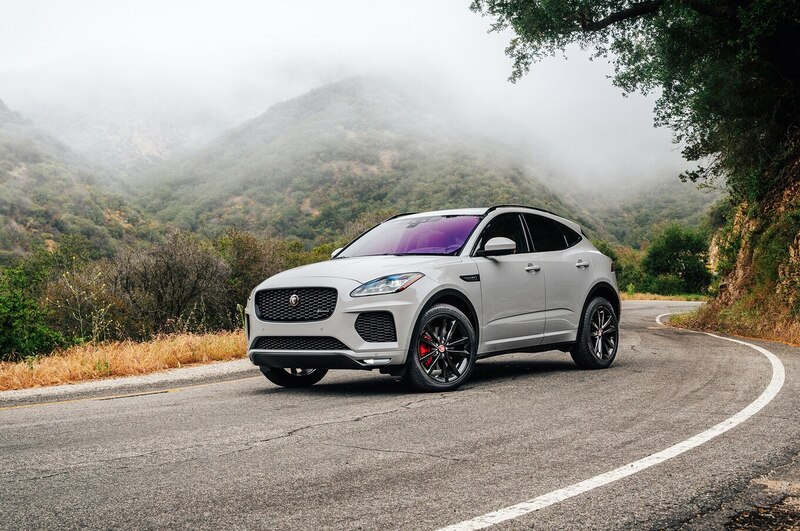 Motor Trend’s Take: The E-Pace may share a basic platform with the Land Rover Evoque and Discovery Sport, but in our First Drive, we said, “The E-Pace is more fun to drive than either of the Rovers.” The Jag also impressed us with its calm demeanor: “What’s more impressive is that this fun-to-drive character happens with smoothness and silence, too.” If driving dynamics matter more to you than leather seats, the Jag is worth a look. At $38,790, the Land Rover Discovery Sport might be the second most expensive model here, but it also holds the distinction of having far and away the most cargo space (thanks in part to its provision for an optional third row). It also comes standard with all-wheel drive, making it a great choice for family ski trips. There’s room to sneak in an option or two, such as satellite navigation ($820) or an audio upgrade ($820)—or you could scrape the $40,000 ceiling by adding the Convenience Package ($1,125), which includes a hands-free power liftgate, proximity key entry, HomeLink, and an auto-dimming rearview mirror. With the NX, Lexus is betting big on its smallest SUV, providing $37,180 worth of luxury in a diminutive package. That price snags you a full suite of active safety features. Take your choice of satellite navigation ($1,860) or all-wheel drive ($1400), but not both for under $40,000. Or console yourself with heated and ventilated seats ($980) instead. 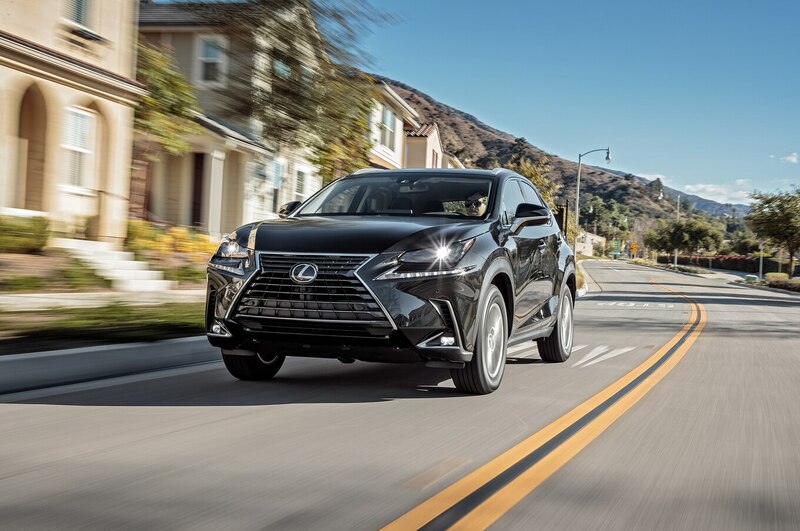 Motor Trend’s Take: Lexus sticks to what it knows best with the NX, and we pointed out those familiar attributes in our First Test: “The cabin is impressively quiet, and there’s a general feel of isolation from the craziness outside the windows. As far as luxury vehicles go, it’s the real deal. As a sporty crossover? Not so much.” And in a comparison test with the Mazda CX-5, we bemoaned the fact that Lexus stubbornly insists on using a “detestable touchpad-operated infotainment system.” Try before you buy. 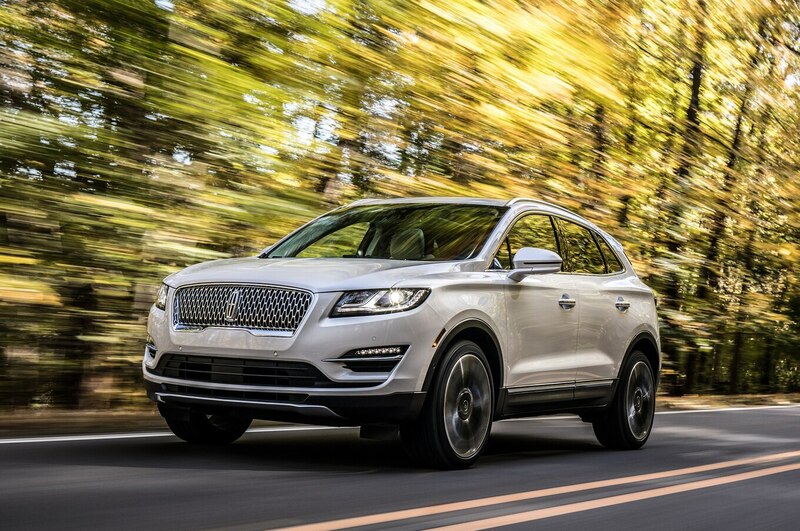 The Lincoln MKC enters the fray with a base price of $34,930. Step up to the Select Trim for $2,755 more, which adds niceties like leather seats, power tilt/telescoping steering column, and wood trim. Here’s the thing: Adding all-wheel drive ($2,410) to Select vaults it $85 over our price threshold. Yes, that’s less than a month’s worth of lattes, but rules are rules. 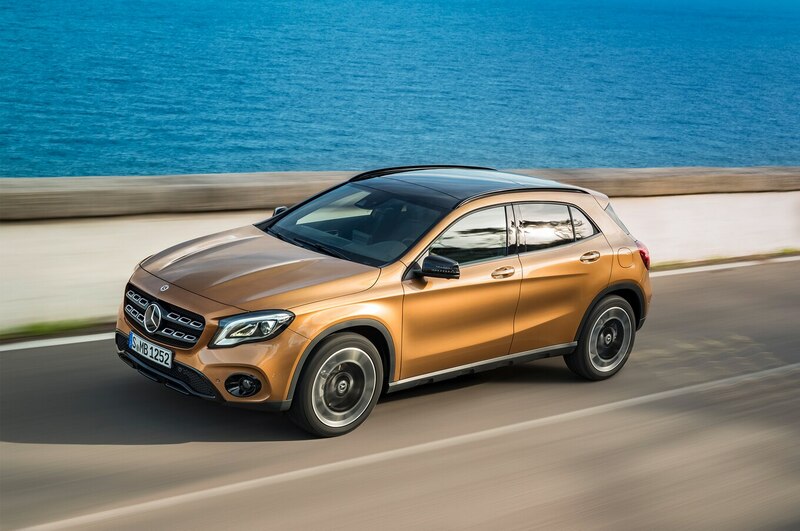 The character of the Mercedes-Benz GLA is as youthful as its base price of $34,395 suggests. Stand out from the crowd with a Kryptonite Green Metallic paint job ($720), or, if that’s not enough, opt for the light-up star on the grille for $450. We’re kidding. Don’t get that. Show a little maturity with the Interior Package ($1,700), which adds leather sport seats and ambient cabin lighting, or the Premium Package ($1,800), which gives you wood trim, heated front seats, and SiriusXM radio. There’s even enough room to add all-wheel drive ($2,000) and still stay below the price threshold. 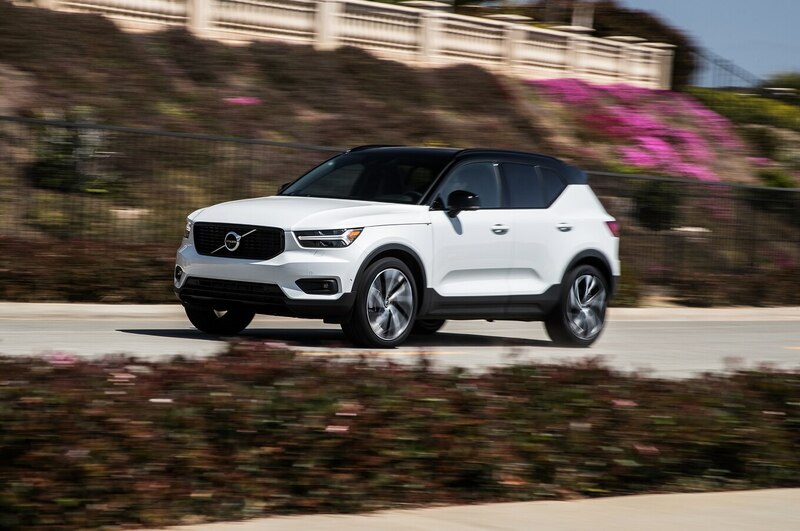 Volvo’s XC40 packs a smart combination of features into the $34,195 Momentum trim, which includes popular items such as Apple CarPlay/Android Auto integration, leather seats, and a power tailgate. Volvo bundles its most desired options into packages: Multimedia ($1,375) includes upgraded sound and satellite navigation, and Premium ($1,400) offers keyless proximity entry, hands-free tailgate, and semi-autonomous driving. All-wheel drive is on board for $2,000. The post 12 Luxury SUVs Under $40,000 appeared first on Motor Trend. January 24, 2019 Comments Off on 2019 Porsche Cayenne First Test: How Much Audi Can a Porsche Take?